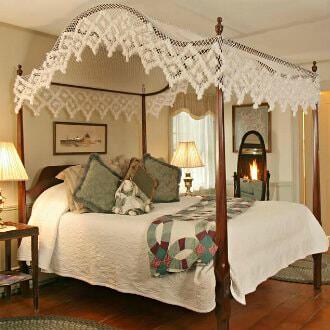 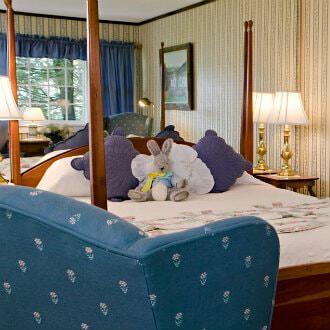 We have multiple lodging choices when you stay with us here at Rabbit Hill Inn. 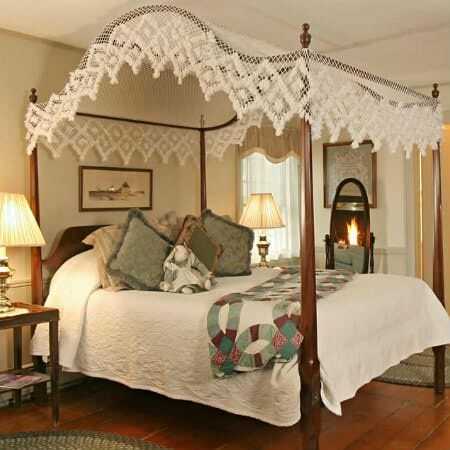 Room rates are for one or two people, per night including afternoon tea & pastries, full candlelit breakfast and service charge. 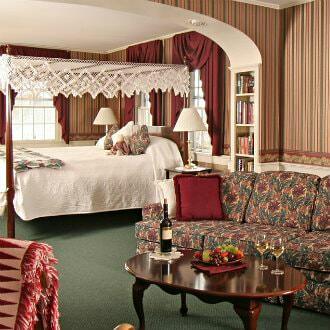 Enjoy a complete vacation experience by adding dinner on at least one if not all nights of your stay. 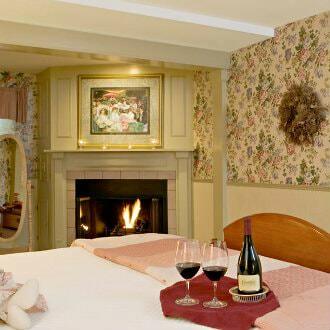 Dinner reservations strongly recommended when making room reservation. 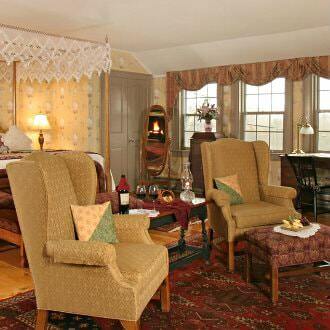 State taxes and Pub charges are additional. 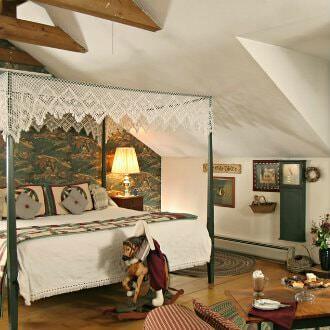 A transcendent alternative to typical Vermont boutique hotel accommodations, Rabbit Hill Inn offers eight glorious Luxury Rooms from which to choose, each with its own unique decor style, setting the stage for a perfect romantic escape. 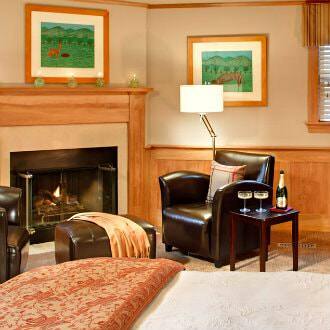 In moments, you will settle into your spacious suite and soothe yourselves in a candlelit whirlpool tub for two. 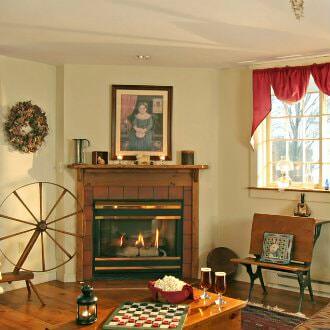 Melt away in a comfy sitting area and enjoy your glowing fireplace. 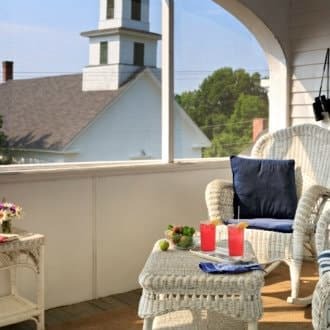 Many also offer private sundecks or covered porches. 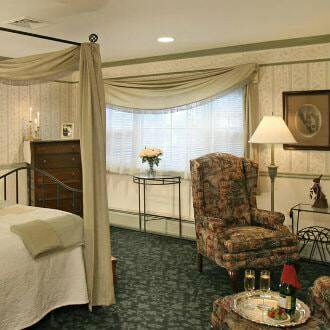 You’ll wish you could stay forever. 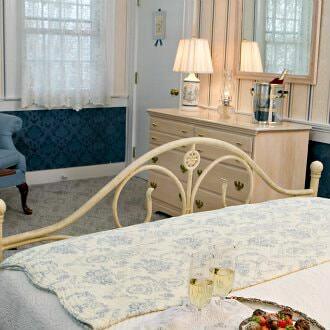 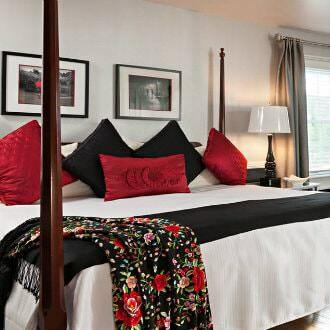 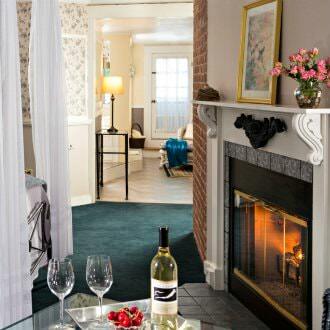 The seven Superior Rooms at Rabbit Hill Inn, our bed and breakfast in Vermont, are spacious and elegantly appointed, each with its romantic theme and decor style. 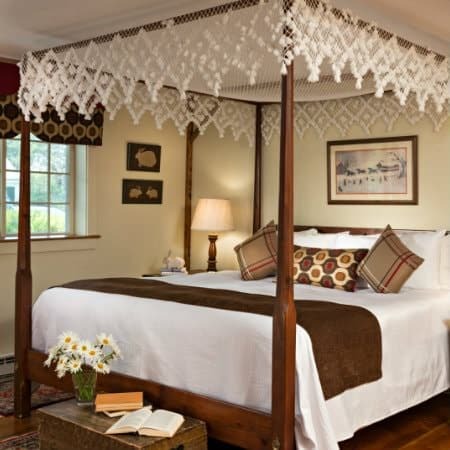 Soon you will find yourself admiring the views, relaxing with your feet up by the glowing fireplace, or perhaps taking a well-deserved nap in a lavish king canopy bed suited for royalty. 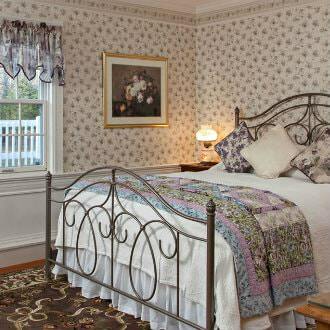 A few also offer the outdoor comforts of covered porches looking out to those peaceful mountains. 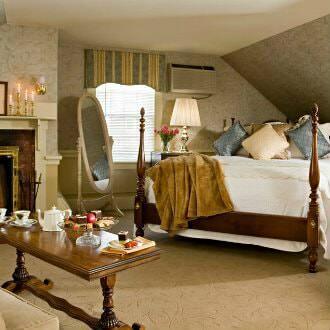 Of course, all Superior Rooms have their own private en suite bath. 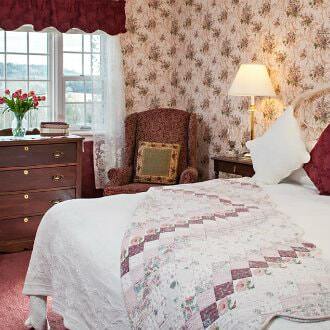 Lodging choices at our bed and breakfast in Northern Vermont include four charming Classic Rooms, all with comfortable space and a variety of enchanting decor choices. 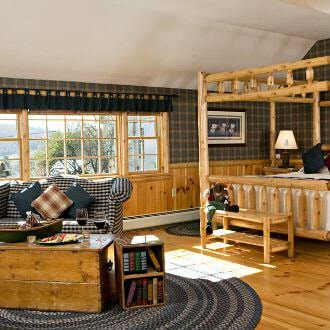 Cozy into the restful sitting areas and admire the peaceful views of mountains or colorful landscape. 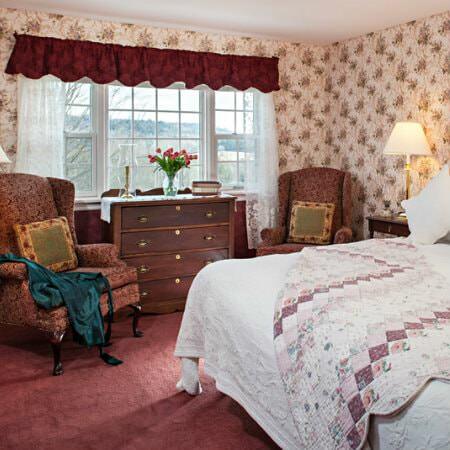 These four Classic rooms are situated in various places throughout the inn property, two in the Main House, one in the 1795 House, and our value room, Tiffany, in the Carriage House. 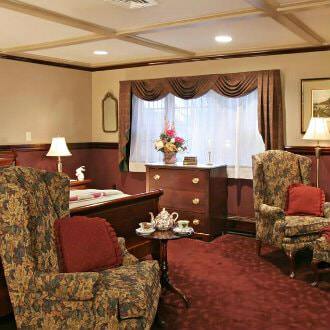 Of course, all Classic Rooms have private en suite baths.